Renaissance Place at Grand (a HOPE VI project) is a certified (Pilot) LEED for Neighborhood Development project that was built with new-urbanist and smart-growth principles. North Sarah Apartments (a HOPE VI project) is an Enterprise Green Community and includes adaptive “live/work” spaces in anticipation of a change in the market. The Near North Side (a Choice Planning and Implementation Community) is utilizing the tenets of EcoDistrict to expand sustainability and equity opportunities. The US Department of Housing and Urban Development’s HOPE VI Program and Choice Neighborhoods Initiative required that a plan for People be put in place to help residents of redeveloping neighborhoods make progress toward self-reliance. For each of these Near North St. Louis developments, Urban Strategies has played a key role in designing and implementing comprehensive plans in collaboration with the community, providing support as neighborhoods phase from planning to transformation to sustainable and thriving communities. These sustainability sites showcase the best of resident-led community redevelopment that a neighborhood elevates and supports. Esther Shin leads a team of professionals with expertise in human capital and economic development to help people in communities across the United States. She believes that all residents want safe, vibrant neighborhoods to work, live, and play. 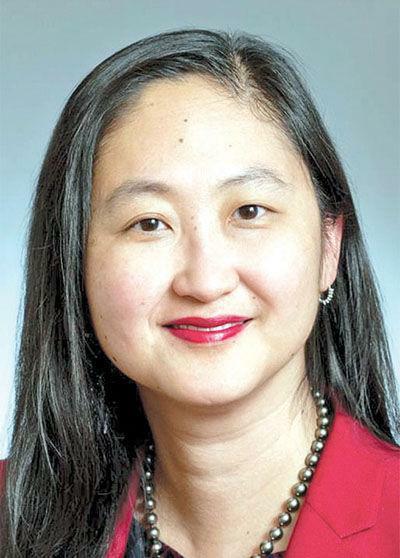 Esther has led or supported in securing nine Choice Neighborhood Implementation grants, amounting to more than $270 million in federal resources, which has leveraged more than $3 billion in additional investments. 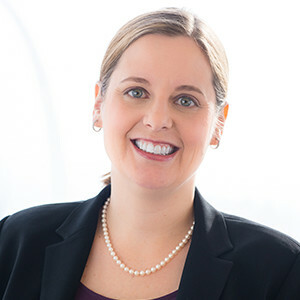 She was recently named by the St. Louis Business Journal as one of the Most Influential Business Women, and, in 2016, Esther was selected by the Annie E. Casey Foundation for the tenth class of their Children and Family Fellowship. The Fellowship works to increase the pool of leaders with the vision and ability to frame and sustain major system reforms and community, capacity building initiatives that benefit large numbers of children and families. USGBC-MGC’s Higher Education & Emerging Professionals Committees invites students and recent graduates to attend a special networking session! Join us from 5:00-5:30 pm before the October Program to connect with professionals active in green building and sustainability. Participants will rotate in groups between the sustainability professionals to discuss their career path and involvement in sustainability. Full time students and emerging professionals can attend free of charge, and should register online here. Webinar – LEED v4.1: You’ve Got Questions. We’ve Got Answers. Join us for a deeper dive into LEED v4.1 and how Arc helps meet your sustainability and certification goals. Using Morrissey Engineering headquarters recertification process as a backdrop learn about the benchmarking requirements, updated prerequisites, and the certification process and opportunities. Presented by Sarah Gudeman, PE, CEM, WELL AP, LEED AP BD+C who leads the internal certification process for Morrissey in addition to working on LEED projects with clients, this lunch and learn will provide an in-depth look at v4.1 from the user’s perspective. The annual Greenbuild Expo will be held in Chicago this November 14-16. 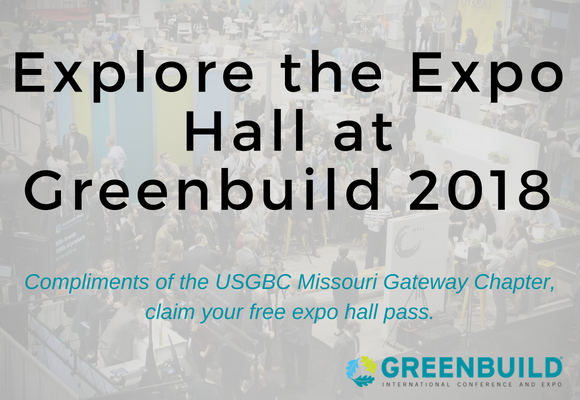 The event, the world’s largest expo for green buildings, is right in our backyard, and USGBC-MGC members can even claim a complimentary discount code. Greenbuild is the face-to-face experience for sustainability in the built environment. It features inspiring educational opportunities, plus the products and technology you need to become even more sustainable. Upon returning to the field or office, you will be equipped with new knowledge, best practices, and inspiration to continue promoting building green. This is an excellent chance to combine knowledge from your field with preeminent building standards; resources at the expo will allow your ideas to become practice. 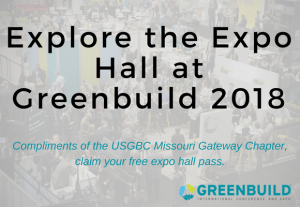 USGBC-Missouri Gateway Chapter members have an exclusive discount code to explore the Expo Hall at Greenbuild 2018, happening November 14-16 in Chicago, Illinois. Contact johanna.schweiss@mobot.org to receive the discount code.